Have you ever wondered what the soundtrack to your dreams might sound like? Or have you been looking for the perfect music to read to this summer? 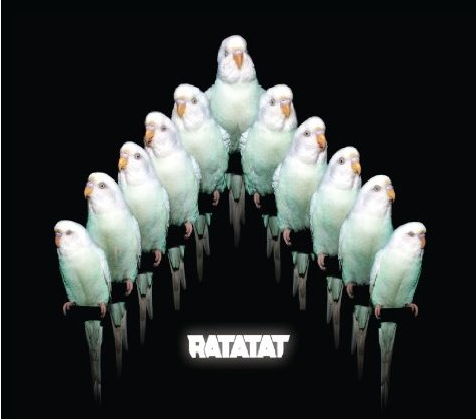 Pop in the fourth album from Ratatat, properly called, “LP4″ and listen for the possibilities. Continuing the tradition of bookending a few tracks with vocal excerpts featured on “LP3,” the ones found on “LP4″ are all at once haunting, startling or creepy. For instance, at the end of the particularly menacing track, “We Can’t Be Stopped,” a distressed voice is whispering something in another language, at the end of the delightfully upbeat “Party With Children” a child-like voice contemplates the future, and a few of the tracks that feature laughter give one the feeling of catching a joke right after the punch line has been delivered. One begins to get the feeling that something sinister is going on, especially after the excerpt in “Bare Feast,” which features a woman talking about beating people up for no good reason. Maybe I’m just reading too much into everything… But maybe Mike Stroud and Evan Mast are doing the musical score for some Phantom of the Opera style dark musical… I’m intrigued. As “Alp,” brings the journey to a close I’m not positive that the heroes of this tale had a happy ending, but I’m happy to report that this won’t be the last time I’m blasting “LP4″ in my living room. The heros of this tale are dark. Alps is a victory for revolting forces. LP4, and indeed most of Ratatat’s work, is a hip hip hooray for the evil in us– the evil that has the strength to make a change.